Help the children in your care to learn more about the theme of ‘growth’ by exploring life cycles. 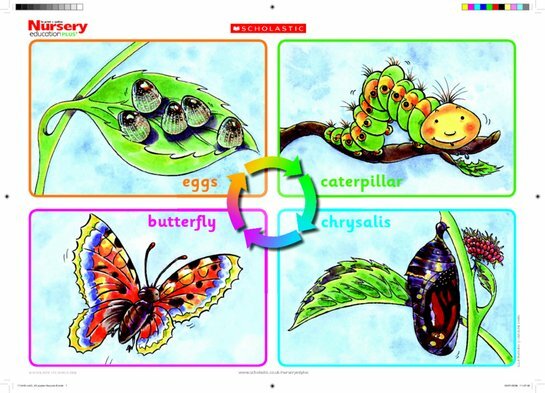 The life cycle of a butterfly is a particularly interesting one with its clear transition from one minibeast to another. Why not use this bright and clear poster to familiarise children with the different stages?